To claim this profile, please confirm you are Kaiulani Nowell. To follow this profile, please let us know your relationship to Kaiulani Nowell. RESULTWin Varsity softball vs. Peoria. 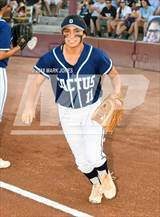 The Cactus varsity softball team won Thursday's home conference game against rival school Peoria (AZ) by a score of 10-0. RESULTWin Varsity softball @ Peoria. 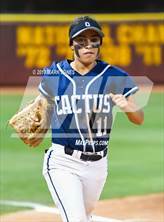 The Cactus varsity softball team won Tuesday's away conference game against rival school Peoria (AZ) by a score of 18-1. RESULTWin Varsity softball vs. Poston Butte. The Cactus varsity softball team won Monday's home non-conference game against Poston Butte (San Tan Valley, AZ) in extra innings by a score of 2-1. RESULTWin Varsity softball @ Deer Valley. The Cactus varsity softball team won Thursday's away conference game against Deer Valley (Glendale, AZ) by a score of 20-0. The Cactus varsity softball team won Wednesday's away non-conference game against Cortez (Phoenix, AZ) by a score of 30-2. RESULTWin Varsity softball vs. Deer Valley. The Cactus varsity softball team won Tuesday's home conference game against Deer Valley (Glendale, AZ) by a score of 11-1. RESULTWin Varsity softball vs. Coconino. The Cactus varsity softball team won Saturday's home non-conference game against Coconino (Flagstaff, AZ) by a score of 9-2. RESULTWin Varsity softball @ Lake Havasu. The Cactus varsity softball team won Thursday's away conference game against Lake Havasu (Lake Havasu City, AZ) by a score of 19-1. The Cactus varsity softball team won Thursday's away conference game against Lake Havasu (Lake Havasu City, AZ) by a score of 23-3. 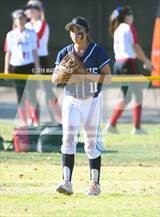 Kaiulani's softball stats have been updated for the win @ St. Mary's. RESULTWin Varsity softball @ St. Mary's. The Cactus varsity softball team won Monday's away non-conference game against St. Mary's (Phoenix, AZ) by a score of 17-0. Kaiulani's softball stats have been updated for the win vs. Seton Catholic. RESULTWin Varsity softball vs. Seton Catholic. 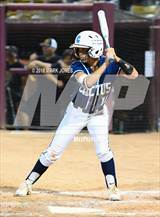 The Cactus varsity softball team won Friday's home non-conference game against Seton Catholic (Chandler, AZ) by a score of 10-3. 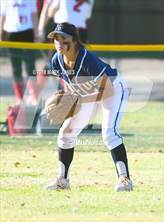 Kaiulani's softball stats have been updated for the win @ Desert Edge. RESULTWin Varsity softball @ Desert Edge. The Cactus varsity softball team won Thursday's away conference game against Desert Edge (Goodyear, AZ) by a score of 15-8. RESULTWin Varsity softball vs. Desert Edge. The Cactus varsity softball team won Tuesday's home conference game against Desert Edge (Goodyear, AZ) by a score of 4-0. The Cactus varsity softball team lost Saturday's neutral tournament game against Hamilton (Chandler, AZ) by a score of 7-5. 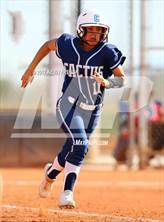 The Cactus varsity softball team won Saturday's neutral tournament game against Chandler (AZ) by a score of 4-3. RESULTWin Varsity softball vs. Basha. The Cactus varsity softball team won Friday's neutral tournament game against Basha (Chandler, AZ) by a score of 10-6.